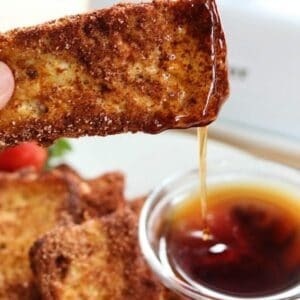 Keto French Toast Sticks- Cinnamon- Only 1.5 NET Carbs PER SERVING! One of the best keto inventions ever is bread. I know, crazy right? When you start eating low carb and keto you automatically think you have to cut out bread. You don’t. It is advised to skip it in the induction phase of keto to help cut down on cravings, however once you are out of that phase it normally isn’t an issue. 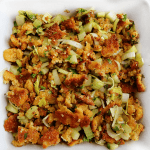 Low carb breads are typically made with almond, coconut or flax flours (or a combo of all) with psyllium to give it a bit of chew and bread texture plus some added fiber. —>>Low Carb Bread. You can also buy plain and flavor varieties of low carb bread from companies like The Great Low Carb Bread Company. 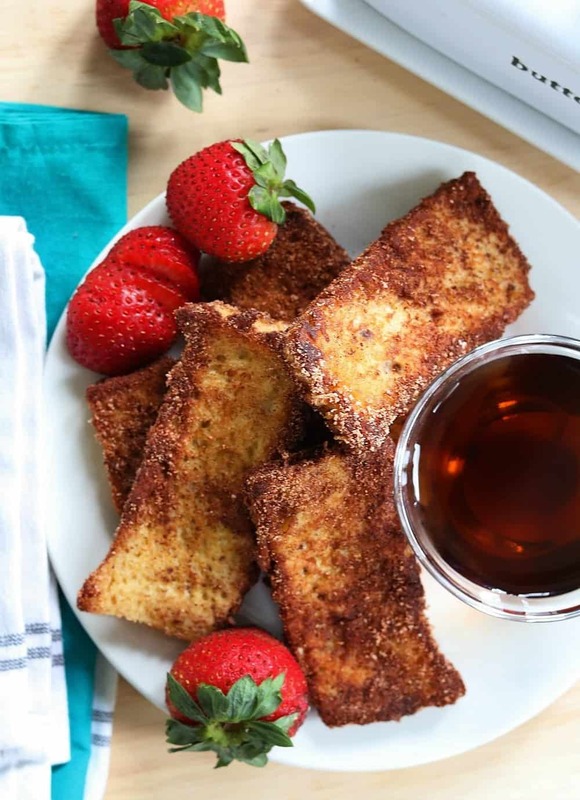 The trick to making these french toast sticks crisp up is the butter. As you know REAL butter on keto is your friend! Use it. 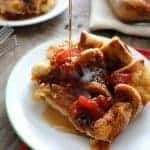 Get it nice and hot (but not browning) and the keto french toast sticks will crisp up nicely. If you can’t find a sugar free syrup you love, simply dip them in melted butter. They will remind you of fried dough. 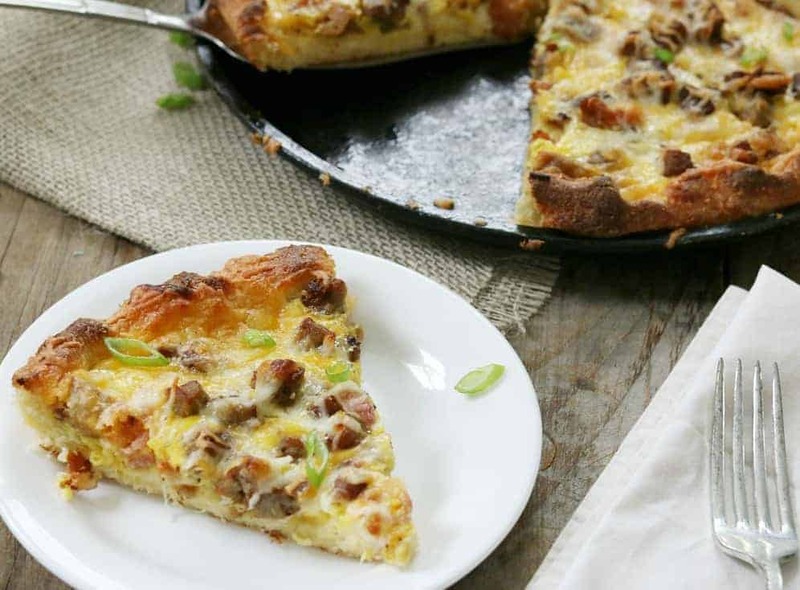 Another amazing keto breakfast idea is this Meat Lover’s Skillet Breakfast Pizza. Yes, pizza for breakfast that isn’t cold out of a box! This breakfast pizza is made with egg and is loaded with all types of meats like sausage, pepperoni, ham and bacon. It is made in a skillet so the Fathead dough gets nice and buttery crisp on the bottom. You have never had anything like this, unless of course you have had this one. 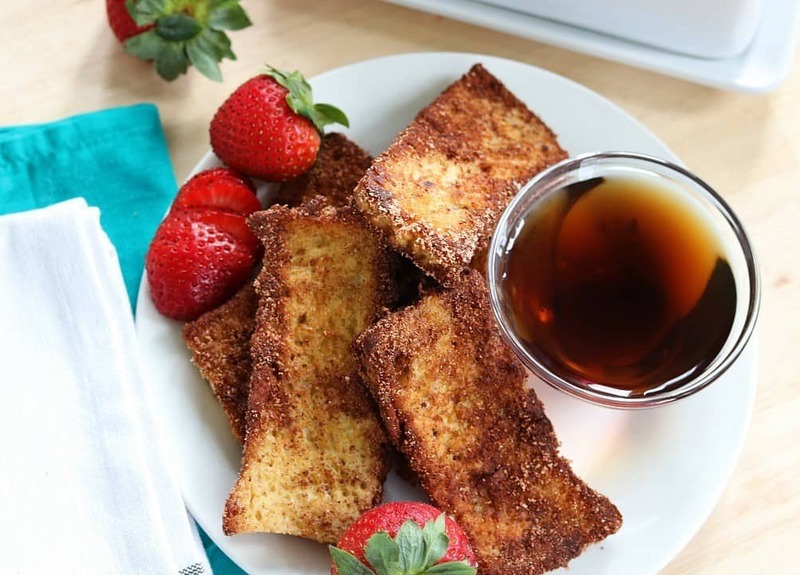 These keto french toast sticks are a simple and delicious break from every day eggs! Whisk eggs, cream and cinnamon. Soak bread into egg mixture. 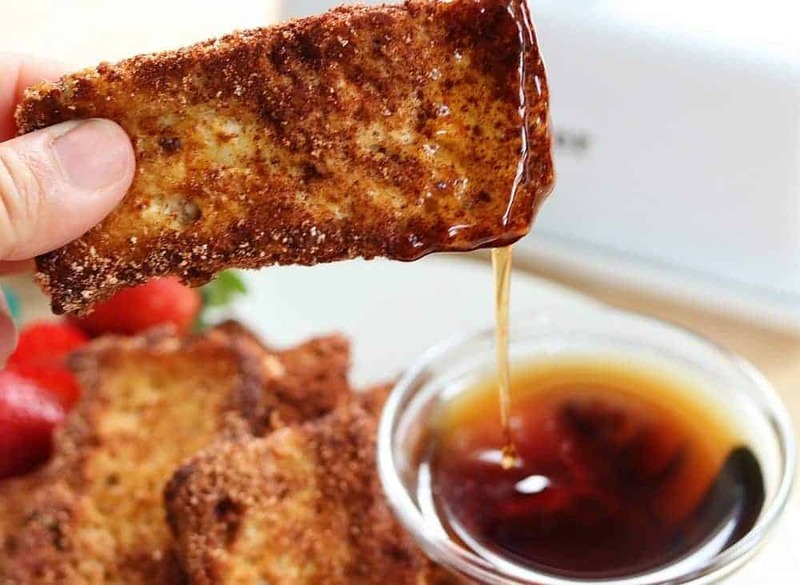 Pan fry french toast sticks until golden on each side. Mix cinnamon and sweetener. 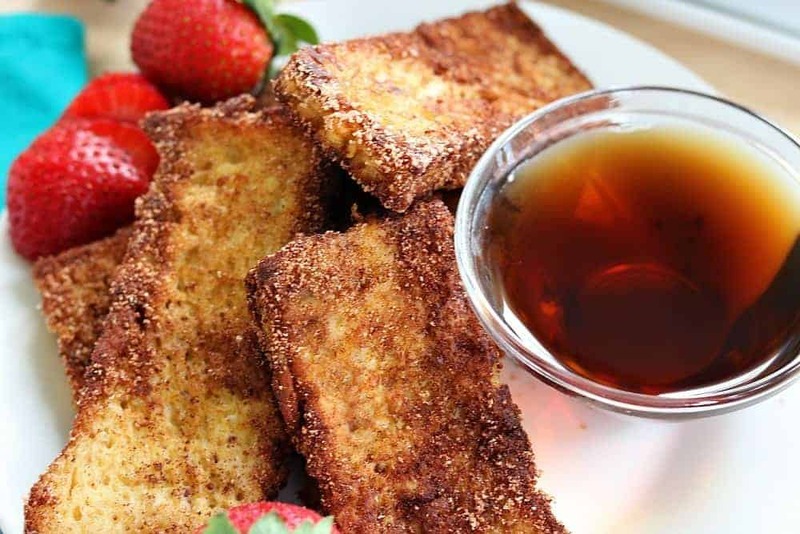 Coat french toast sticks. Dip in sugar free syrup, enjoy! This is such a great idea! I wouldn’t have actually thought to use keto or low carb bread for this. Seems obviously lol haha. Thanks for a great idea! Oh wow wicked cool. Nice. I can freeze these? Where do you get your low carb bread? IS low carb bread keto too ? I love this idea, I agree with Liz, seems obvious but when you have to cut out so much sometimes you forget to be resourceful. I have used keto bread for sandwiches, but breakfast! Yay! Hi Anne! I get my low carb bread from the Great Low Carb Bread Co. online. 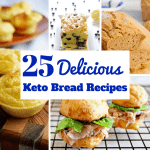 I have not seen a low carb bread that isn’t keto approved. Most have almond flour, oat fiber, psyllium husk, all things that are ok on keto. 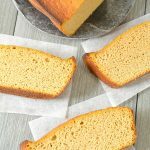 If you are in the induction phase of keto bread isn’t recommended as it can make fighting cravings harder, that is it! For sure! That was my favorite part. Doesn’t even seem any different than normal french toast. I do prefer using the purchased low carb bread rather than homemade because it has more chew and doesn’t crumble. Great idea! Just bought some low carb bread. I know it is keto cause I checked the ingredients. Perfect.